Still looking for spring favors for your wedding or baby shower? Well, we have you covered! Our Floral Garden Collection is now available with beautiful new color options to suit any spring event! We’ll go over a few spring favor ideas and quick tips on how to fill and assemble our favor containers. Read more below. 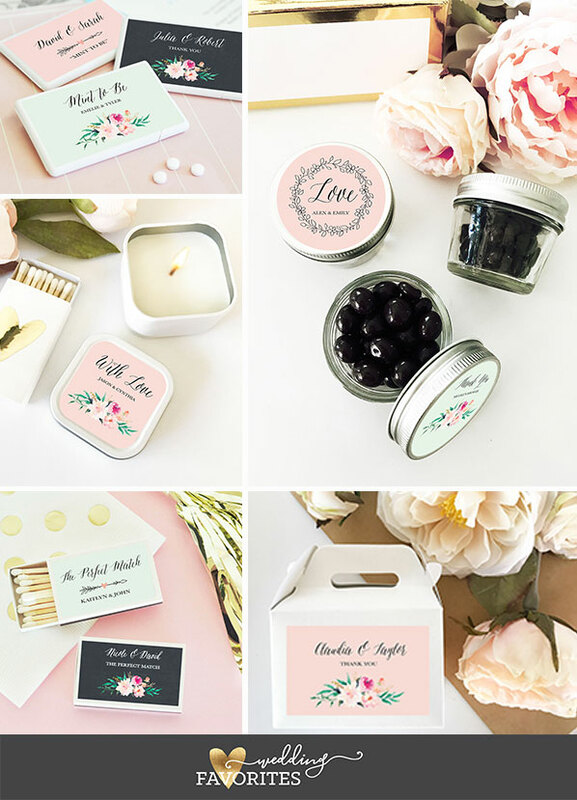 Personalized candle tins make great spring favors to thank your guests whether it’s a bridal shower, wedding reception, a baby shower, or any other celebration! Our candles have a subtle floral scent your guests will not be able to put down. 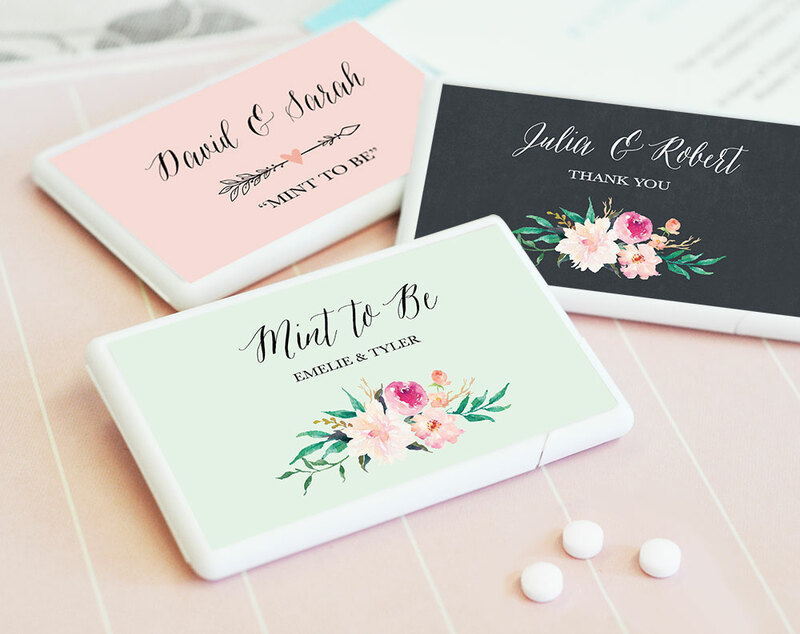 Choose from seven color options, five design options, and your own text to truly customize these favors! 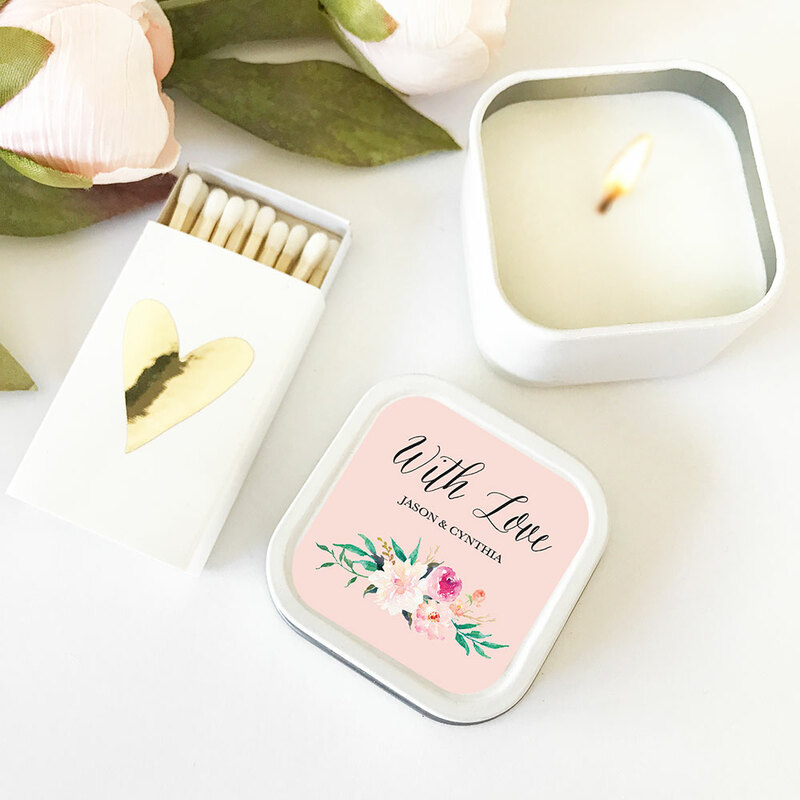 If you’re looking for something with a bit more flash, we also offer these beautiful floral label designs on chic gold candle tins. 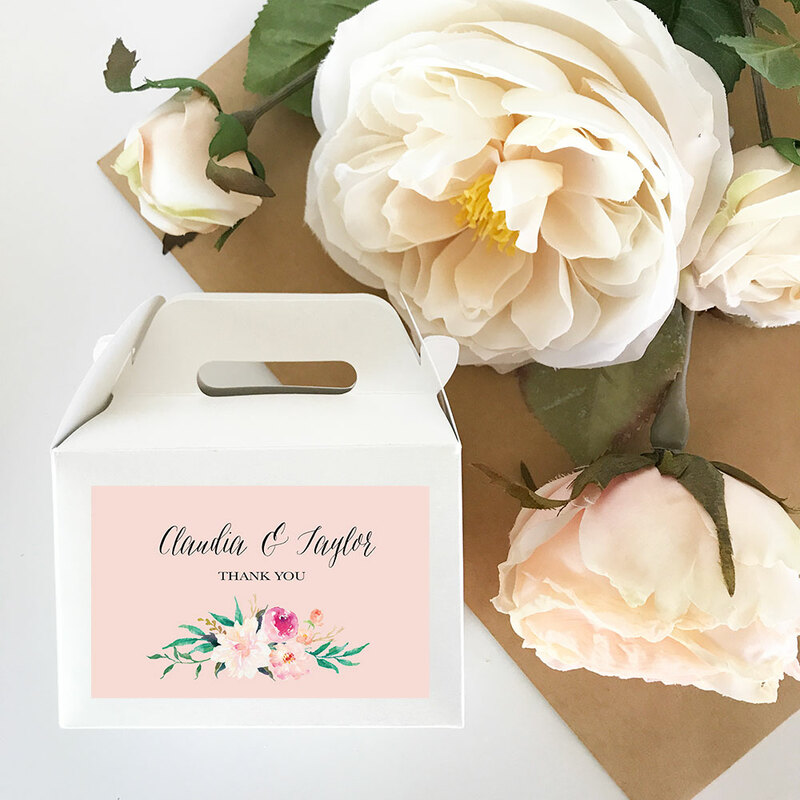 Favor boxes make great packaging for your homemade treats and a unique way to thank your guests for attending your event! Fill them with candies, cookies, or other goodies for an unforgettable party favor your guests are sure to enjoy. 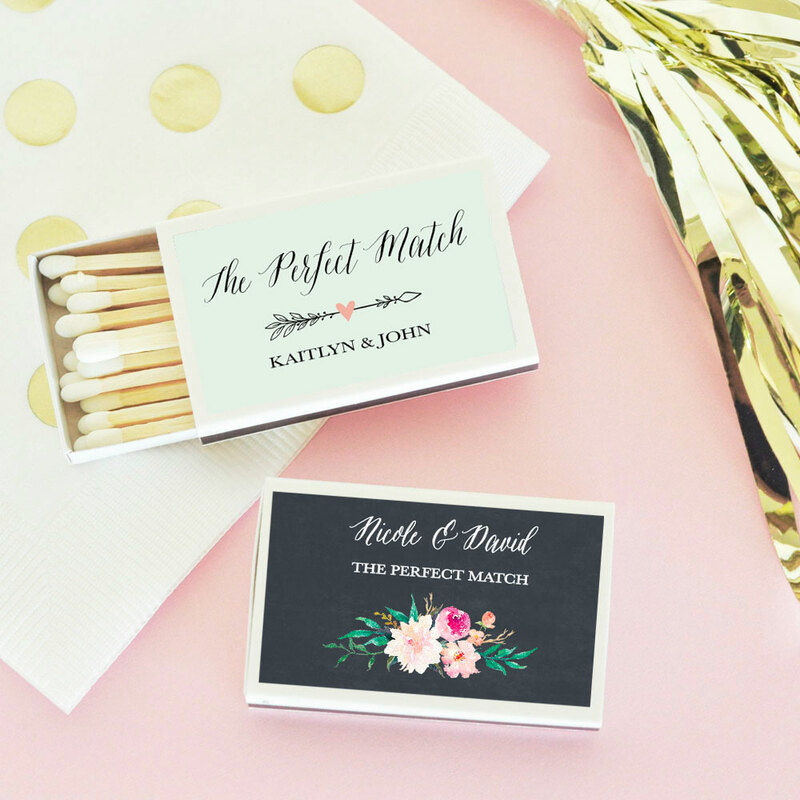 Choose from a variety of box colors, label colors, and floral themes to match your event. Their small size makes them the perfect portable box. Quick DIY Tip: Organize a party and invite your friends and loved ones over for an evening of wine, cheese, and sweet treats and dive into putting your favors together. 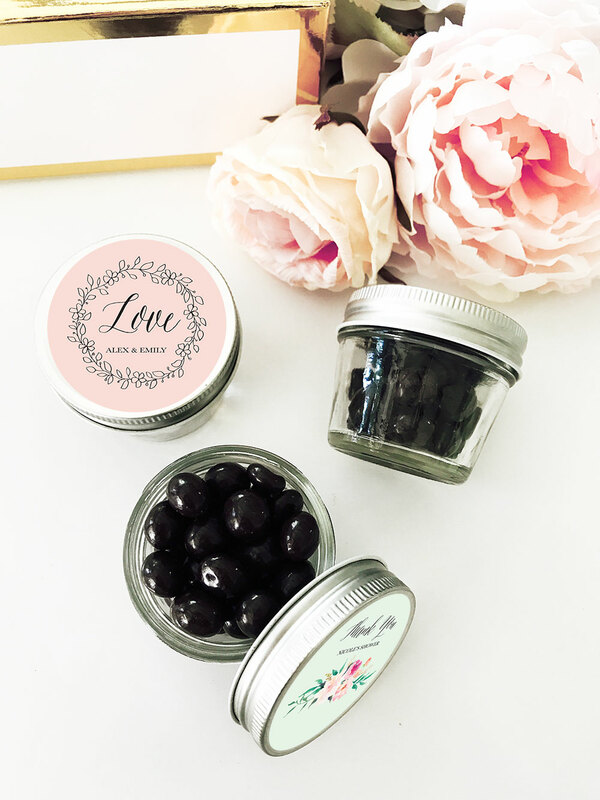 You’ll enjoy a bit of fun and relaxation while getting your favors done in one sitting! Make sure to sign up for our NEWSLETTER to get future updates, coupons, holiday printables and more! Follow us on Facebook, Instagram, and Twitter for more updates.